There are many options for getting around in Puerto Rico. Numerous flights connect various airports around the island, including Culebra and Vieques. There's a ferry service from San Juan to various nearby destinations, and from Fajardo to Vieques and Culebra. Throw in the train, bus, taxis, and públicos, and you won't have any problem reaching your destination or simply getting out and exploring what Puerto Rico has to offer. From the airport, look for the Taxi Turístico, which carry the signature garita (sentry box) icon as their logo. You can also find them at designated taxi stands at various points in San Juan (including at Plaza de Armas and steps away from Plaza Colón). Taxis can be expensive, with rates from the airport to Condado, Old San Juan, and Isla Verde starting at $15. A público is a privately operated shuttle service that transports people all over the island. This is a great option if you've got time on your hands (a cross-island trip can easily run several hours long with multiple stops), want to see small, local towns along the way, and enjoy mingling with blue-collar locals. Puerto Rico's public buses are referred to as guaguas. Tourists in San Juan will be most interested in two lines: the A5, which travels from Old San Juan to Isla Verde, and the B21, which runs between Old San Juan, Condado, and the Plaza Las Américas Mall in Hato Rey. The Department of Transportation also runs an efficient Metrobus, which has the most extensive network in the city. There's an interactive map on their website that will help you plan your way around San Juan. Puerto Rico also has a green initiative underway to make their buses more eco-friendly... always a plus point. Train travel between cities doesn't exist, but you can get around metropolitan San Juan through the Tren Urbano (Urban Train), which is primarily a commuter train connecting residential and commercial points in the capital. As such, the Tren Urbano doesn't reach Old San Juan. Puerto Rico has a decent and very cheap ferry service. 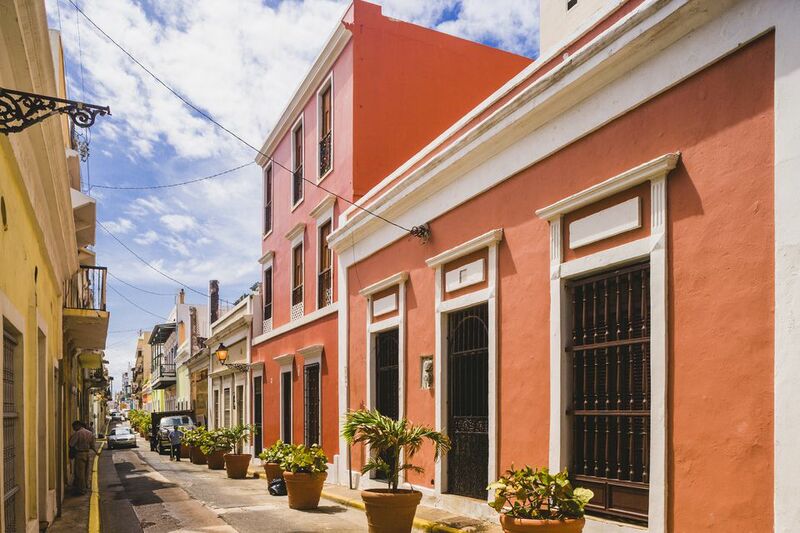 From Old San Juan, you can catch a ferry to Cataño (which is the cheapest way to get to the Bacardi distillery) or to Hato Rey (the banking district and the site of Plaza Las Américas. Most locals who want to get to Vieques and Culebra take the ferry from Fajardo. It lasts about two hours and will get you there safely. However, it's packed on long weekends and popular holidays, and service can be spotty. You can also take a car on the ferry, but the ferry service for cars is much more infrequent and less reliable.